Individuals in possession of a valid Quebec Selection Certificate/certificat de sélection du Québec (CSQ) may work in Quebec without needing to secure a Labour Market Impact Assessment (LMIA) for the position. These workers may submit an application to renew or extend their work authorization in Quebec. Under an agreement with the federal government, Quebec allows for some of the foreign nationals it has selected under its economic immigration categories (specifically, the Skilled Worker Program and the Quebec Experience Class) who are holders of a valid work permit and who currently reside in the province of Quebec, to be able to have their work authorizations extended with their current employer or renewed with a new employer without having to obtain a LMIA. There is no restriction on the occupation skill level of the position being offered to a CSQ holder. The applicant must currently be a resident of Quebec. The work permit is valid for the duration of the job offer and cannot exceed two years. This time limit should allow the applicant sufficient time to submit an application for permanent residence before the work permit expires. The application must include copies of the valid CSQ and the job offer to work in Quebec. The CSQ must indicate one of the following codes in section 9, Catégorie: “IQ – Travailleurs qualifiés”, “IP – Travailleurs”, “IT – Travailleurs qualifiés”, “IZ – PEQ Travailleurs”, “IY – PEQ Étudiants”, or “I6 Travailleurs Art.40”. Only employer-specific work permits are to be issued (no open work permits). 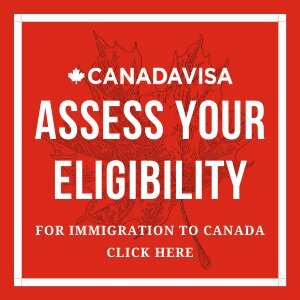 Spouses or common-law partners who are accompanying the principal applicant and who are currently in Canada are entitled to apply for an open work permit for the duration of the principal applicant’s work permit, irrespective of the skill level of the principal applicant’s occupation.